This is my (back yard restoration ) 1973 CR 250 M Elsinore. 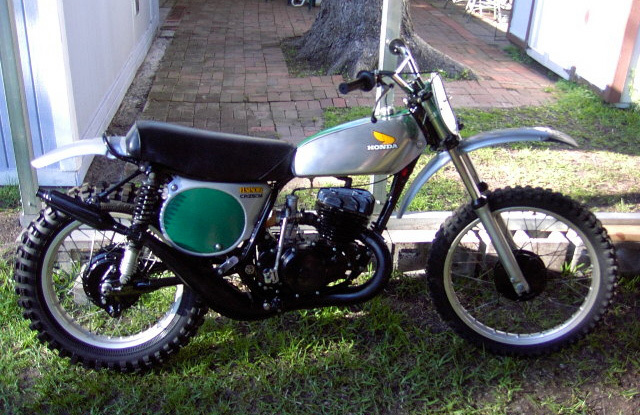 I grew up in the 70's racing motocross, but could never taljk the parents into buying me one of these. Now that I am in my early 40's, I finally made my dream come true. I bought this bike as a total basket case for $400. Over the last 3 months I tore it completely down and painted or fe-furbished nearly every part on the bike. It is almost finished. Just a few details to work out, then it will be PERFECT.